Good afternoon, dear readers, and happy Friday! This week has just flown by, and I am quite happy about that! I'm looking forward to a productive but still fun weekend. 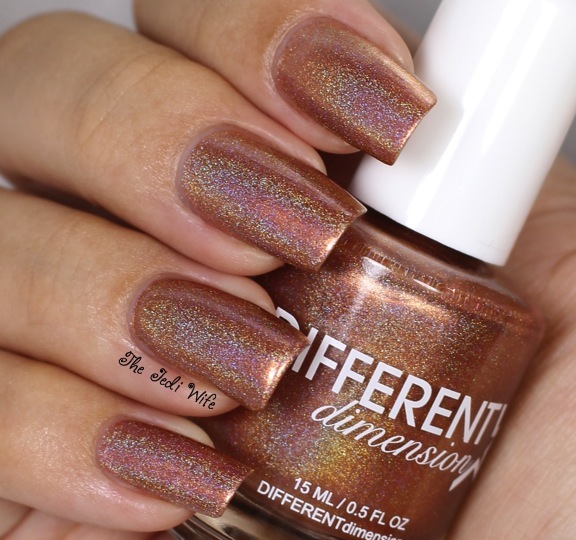 For today's post, I wanted to share the new Heavy Metals Collection by DIFFERENT dimension being released this evening. This collection is a steampunk-inspired collection, and it consists of six rich metallic holographic polishes and two glitter toppers that complement the holographic shades ever so nicely. Let's look at some swatches! Silver Lining is a platinum silver coloured metallic holographic polish that is opaque in two coats. I love silver polishes, and this one is gorgeous! The formula was really nice as well, and it applied so easily for me. 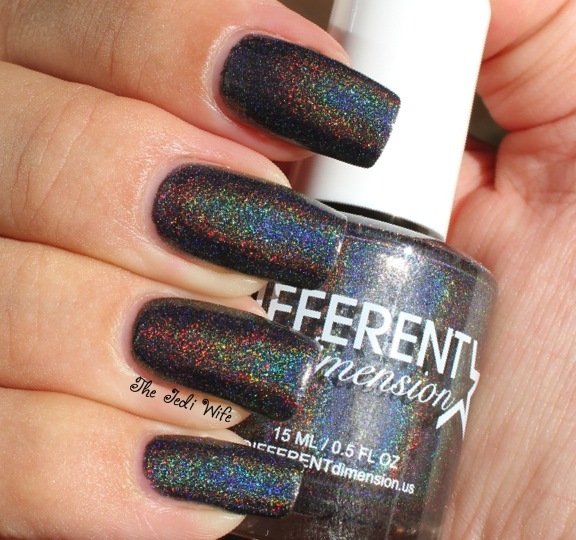 Foiled Again is a gunmetal foil metallic coloured holographic polish that is opaque in two coats. This is one of my favorites from this collection, but then I tend to be drawn towards darker grey shades in general. The formula was perfect with this one as well! 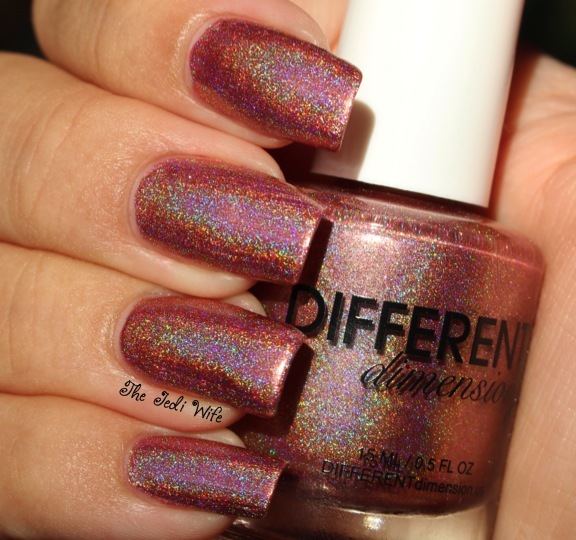 Copper-bottomed is a copper coloured metallic holographic polish that is opaque in two coats. I'm sure you already know that with my love of all things orange, this copper polish is one of my favorites from this collection! The formula was smooth and perfect for this one as well. Bold As Brass is a bronzey-brass coloured metallic holographic polish with blue shimmer that is opaque in two coats. This is arguably my favorite shade from the Heavy Metal collection! I'm pretty crazy about this base colour, and the shimmer is a nice touch. The formula is superb, and it applied really smoothly for me. Pedal to the Metal is one of the glitter toppers, and it is composed of holographic and metallic glitters in gold, gunmetal, silver, copper and bronze in a variety of shapes and sizes. I really like glitter toppers, and this is a fun one! The glitters broke up pretty easily for me overall, but they do clump together if you're not patient. 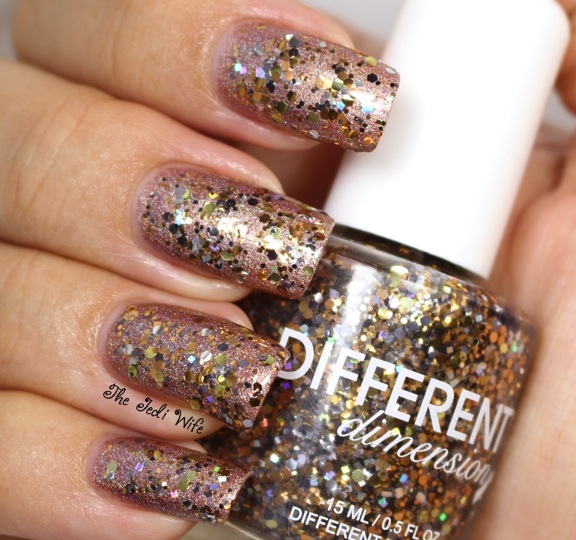 I used around a coat of this glitter topper by dabbing it on my nails. I then smoothed my nails out with HK Girl topcoat. All That Glitters Is Not Gold is a yellow gold coloured metallic holographic polish with added golden shimmer. It is opaque in two coats. I never really considered myself a fan of yellow gold, but I am really liking this colour. The formula is also really nice, and application was perfect. 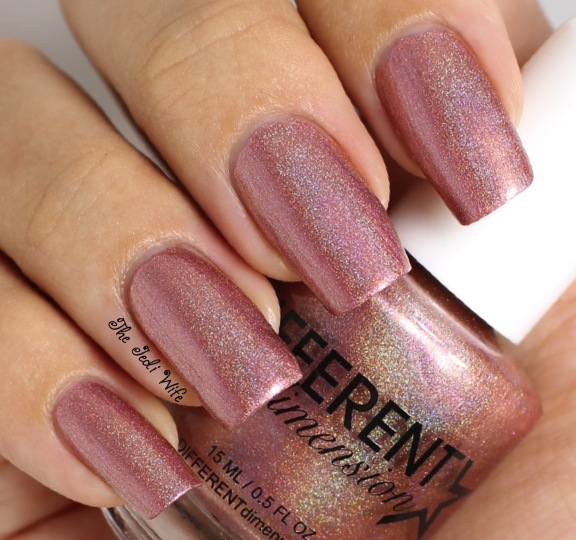 Hearts of Steel is the second glitter topper, and it is composed of holographic and metallic glitters in gold, copper, and rose pink in a variety of shapes and sizes. It is my favorite of the two glitter toppers; I just love the combination of gold with pink! 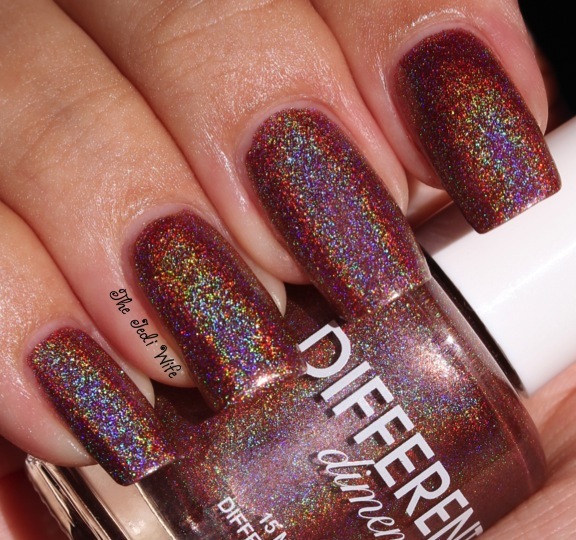 I feel like Hearts of Steel was easier to apply and the glitters dispersed easier for me than with Pedal to the Metal, but then I think I was a little slower in the application on my nails to help get it to disperse better. I also really like the really small glitters mixed in with the larger ones. 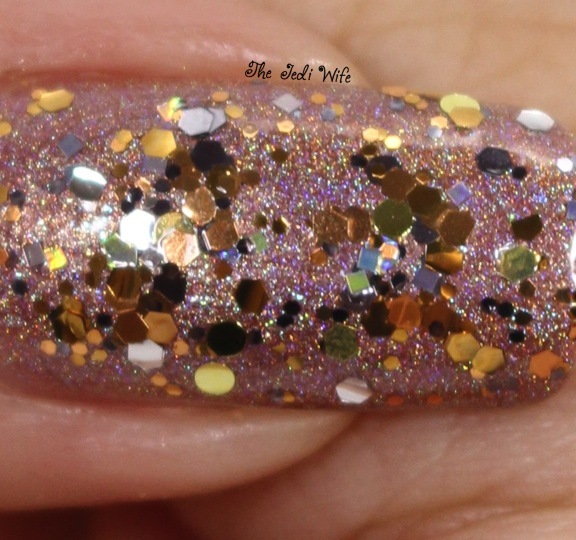 I dabbed on about a coat of Hearts of Steel and then topped my nails off with HK Girl topcoat for these photos. Heart of Rose Gold is a rose gold metallic holographic polish with added shimmer; it is opaque in two coats. I really like the colour of rose gold, and I am thrilled to see that there is one in this collection. 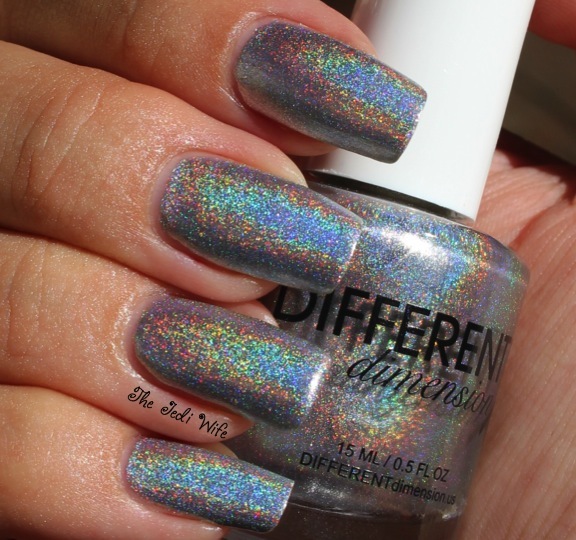 Like the other holographic polishes, the formula was superb! At first I wasn't sure how I would feel about an all-metallic collection, but I am so glad that Missi created one! I like having a range of options available by a brand that I know and trust, and you really can't go wrong with any of these beauties! The Heavy Metals Collection is launching tonight, Friday, September 26th at 9pm EST. Don't forget that the Spooky Spooky Limited Edition Halloween collection and new seasonal cuticle scents are launching tonight as well! 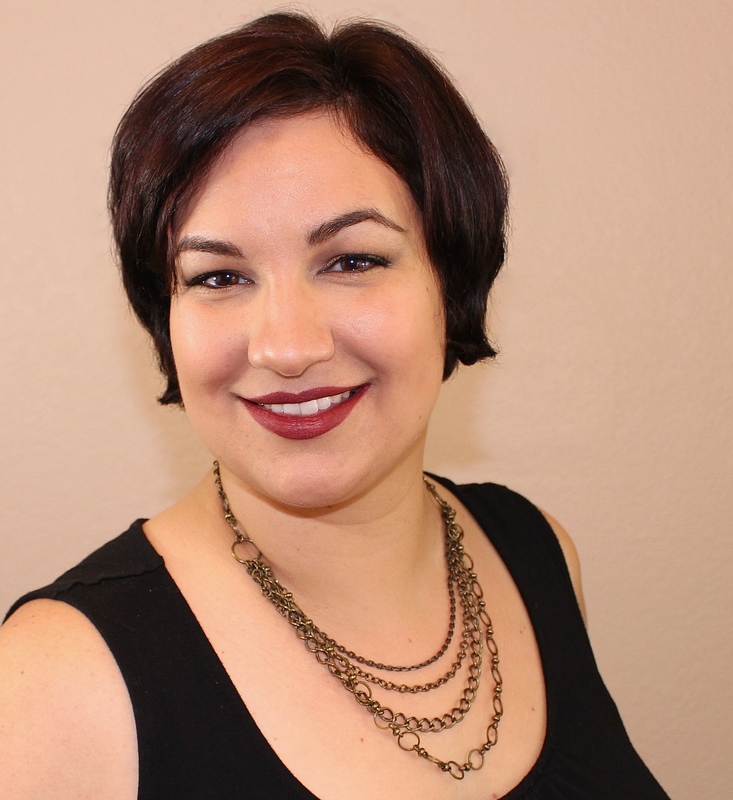 The original DIFFERENT dimension etsy shop has closed down, and you can now shop with her on her new shop over here! At the time of this post, Missi is making final touches to the the new site, but it should be live soon. Be sure to follow DIFFERENT dimension on Facebook and Instagram for shop announcements and lots more photos! What polishes are you looking forward to picking up tonight? I'd love to hear from you!